Windows on the Bowery historic signage project receives media attention! 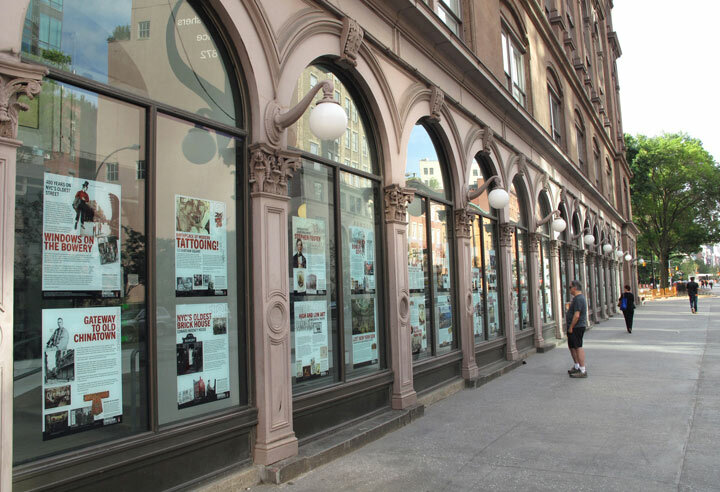 Posters on Display at Cooper Union Foundation Building Western Windows. Since its launch in July, the Windows on the Bowery historic signage project has been receiving a tremendous amount of media attention. This unprecedented effort celebrates New York City’s oldest thoroughfare, and its important links to tap dance, vaudeville, Yiddish theater, Abe Lincoln, Stephen Foster, Irving Berlin, Abstract Expressionism, improvisational jazz, tattoo and punk rock. 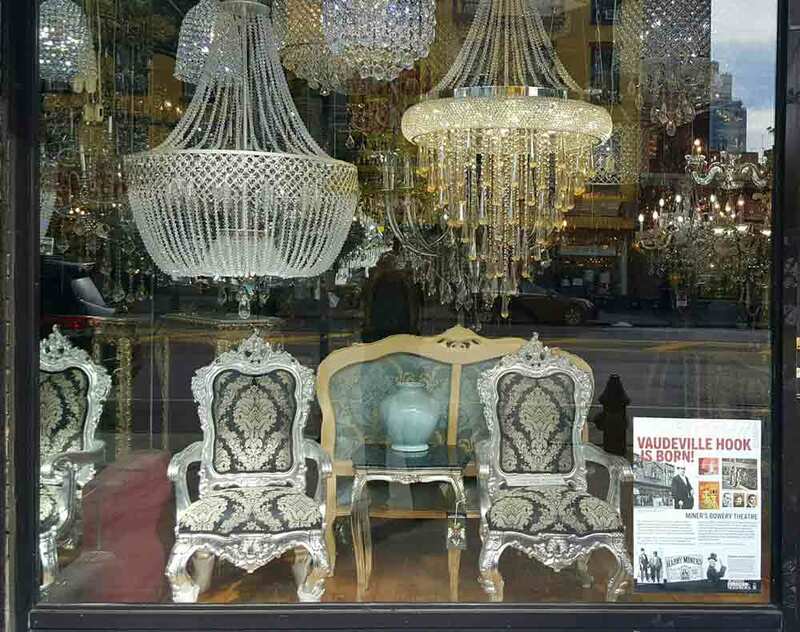 It also celebrates the Bowery’s unique architectural streetscape, which includes buildings from every decade from the 1780s to the present. Metro New York News July 13, 2016 Cover story! 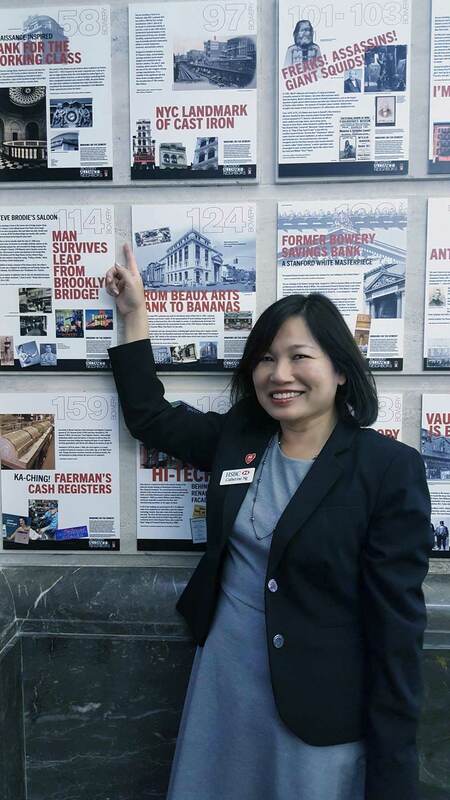 Bank Branch Manager Catherine Ng with full exhibition of posters inside the Bank.